As FIFA's Qatar World Cup Final gets set for Christmas week, perhaps our shock horror reaction at the disruption, set in winter stone for 150 years, may thaw after all? How many times have England fans lamented our biannual failure because Rooney & Co were too pooped from the rigours of a 60-game season? How much of a chorus has there been for a winter break after Boxing Day to give players the vital rest required? Every other year, that’s how much! But the chorus can’t be ignored forever. So this enforced abruption could prove the blueprint for future Premier League seasons if our disparate interest groups can unify. And as English clubs wither in the Champions League, perhaps a winter break might aid performance. Richard Scudamore and his member Premier League clubs usually display a lack of will to embrace change in the face of external influences – but FIFA edicts are too big even for them to resist. Maybe now, they’ll act on the relative benefits to keep the winter break into season 2022/23. Don't hold your breath, mind - it might freeze! What exactly is the point of Financial Fair Play, UEFA’s attempt at stopping the billionaire class from buying up all titles and trophies? 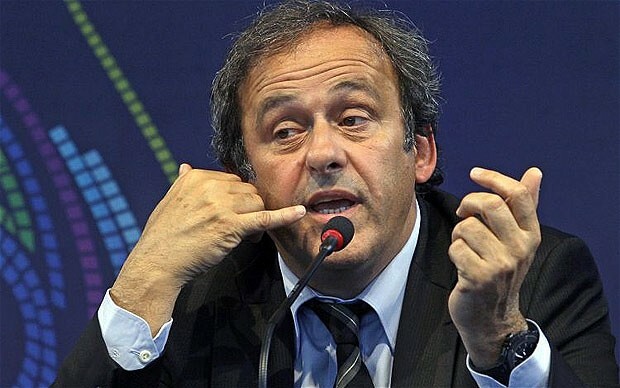 Well, it surely wasn’t designed to deter investment in second-tier clubs – but that’s the biggest consequence of Michel Platini’s greatest gesture to the game as European football’s president. Chelsea and the Manchesters will always have suitors with a couple of bill to spare – but what of the Evertons and Aston Villas, clubs with huge support, history and that golden word, potential – but whose value is a mere fraction of a Champions League evergreen? Will another Forest happen again? Randy Lerner, Villa’s wantaway owner would give you the keys to Villa Park, the training ground (and a housing estate) for £150m. Bill Kenwright knows he’s not wealthy enough to push Everton above Spurs and Liverpool into the coveted fourth spot and a seat at Europe’s top table. But when investing in players is capped at club turnover,which rich-kid would buy a wannabe team – even if Sky and BT shelled out a massive £5.1bn for the right to screen its games? Time for a fan buyout? A Barcelona-style supporter owning revolution. Fantasy? It’s nearer in the Premier League than you might think. Who better than 35,000 season ticket holders and thousands more armchair supporters getting behind their club's public flotation? Watch This Space. England's immigrant generation could change it all for Greg Dyke's FA. 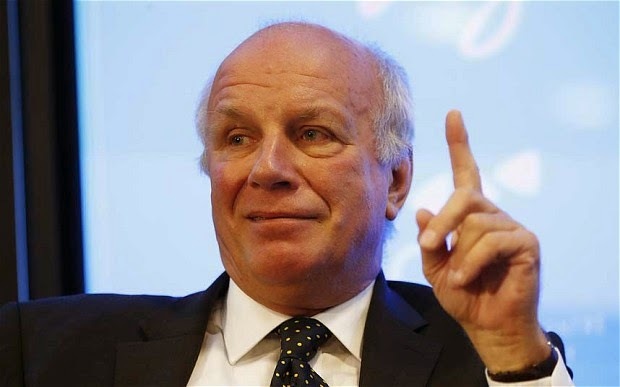 Without knocking Greg Dyke's FA Commission too much, the chances it becomes a talking shop from the outset are rather large. The Commission's aim of England winning the World Cup in Qatar just can't be legislated for seven years off. Some of those who'll win it for us are 13 and don't live in England yet! Because just as much as this is about getting organized for a trophy push - it's also about what society may throw up in the next decade. Yes, friends. As responsible as Premier League academies may prove, England will win the World Cup due to mass immigration to the UK. And what do Dyke, Danny Mills and Ritchie Humphreys know about that? The acknowledgement from football's highest office that we've an England problem is positive, but pro-acting on the unknown and unforeseen is no solution. No amount of Beckhams, Lampards and Terrys have propelled us to glory. 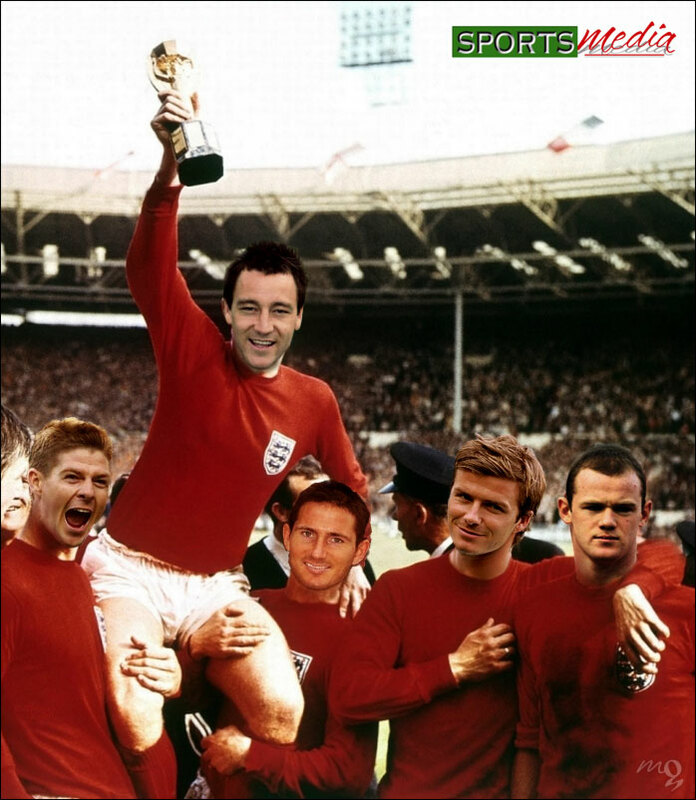 I argue the Golden Generation were too English to succeed. Too conditioned by the Baddiel & Skinner zeitgeist, the Danny Baker colonization of football banter and other hangovers of persistent failure. A new immigrant consensus will subvert the flatline of failure. Can Greg get more England players to start Premier League games? There are families living on the twelfth floor in tower blocks, grateful of free education, hospital treatment and jobs. They won't be neighbours to the so-called benefit generation for long either. Gael Bigirimana, the Burundi kid from Coventry, naive to barriers, walked past the Sky Blues training ground one day, popped in and asked to play. He's now a Premier League midfielder at Newcastle United. His countryman, Saido Berahino already has England honours. Romanians and Bulgarians have arrived in every major city looking for a new life unaffected by 48 years of hurt. Belgium has a class of players from all corners of the world. Did the Brussels Howard Wilkinson sit down and construct this national team? If he did, it was entirely reactive, the private sector's built the careers of those individuals. And what did Greece do apart from hire Otto Rehhagel? I know what we did at Euro 2004: the FA brought WAG's, an army of blazers and an overpaid Swedish boss with the other eye on the FA's female staff. The Greeks won with a procession of one-nil wins. Yes, I know these rough diamonds would require professional coaching from early teens, to be included in academies of the kind I've mentioned and to be known by the FA's Burton boys. But it's what they carry with them in their upbringing that could break the spell for England. It's essential that the FA Commission has a well-publicized set of objectives - and as importantly, no definitive timeline for delivery. Football, even society it feeds from, is changing too fast for fixed policies to be made in the here and now. It would be best if the Commission acted more like a Prime Minister's Cabinet, meeting periodically and with each "minister" responsible for reporting back for a collective decision to be made. Also that they are elected - or serve a term and can be replaced by another person from football - or beyond as needs must. And it's vital they acknowledge England will win the World Cup, not by their initiatives - but by the individual enthusiasms of boys who started playing in the street - not in expensive replica kits. Lambert's Champions League, oh well! What do you know, a hint of stability seems about to break between the clouds hovering above Aston Villa - and the dreaded T word emerges! Will Randy Lerner finally relinquish control of the club this summer? In this latest episode, Mat, Jonny and Howard also talk about the players Tim Sherwood has improved immediately like Cleverely, N'Zogbia, Gaby and Benteke and the home game with Swansea this Saturday. Possibly the most camp Fergie picture ever! I was the first touchline reporter for Premiership Plus, the package of top-flight games which became Setanta, ESPN and now, BT Sport. Back in 2001, as Jonny On The Spot for the first dozen fixtures on the Premier League's own channel, I grilled Sir Bobby Robson, Gerard Houllier, Claudio Ranieri, Glenn Hoddle, Graeme Souness, Gus Poyet, Teddy Sheringham and ... Sir Alex Ferguson live. Sir Bobby was the most engaging and enthusiastic of managers. He enjoyed being Toon boss so very much with nothing to prove, and still achieved fifth-placed finishes. 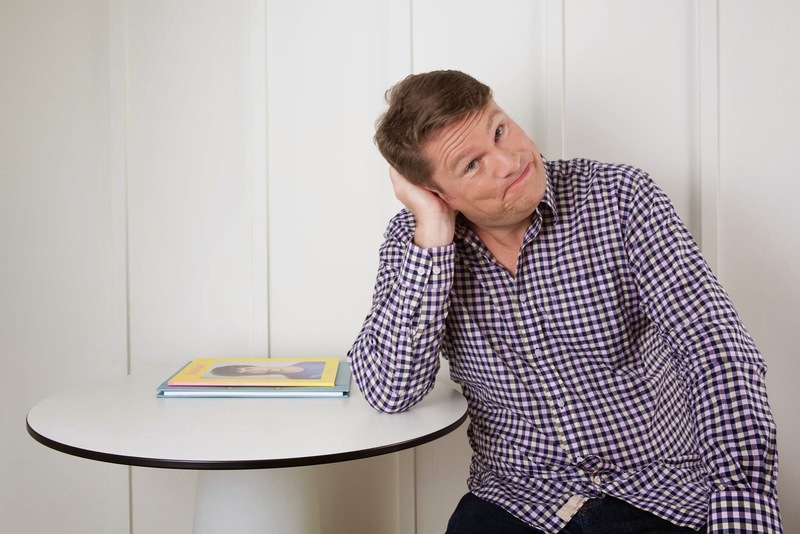 I smiled along with his responses and in reply, he extended each soundbite to about two minutes a pop, grinning back at me with youthful charm. My arm, stretched out underneath his mouth, became so oxygen-starved I had to swap midway through each. After West Ham’s 7-1 destruction at Blackburn, the lights turned on and my first question to the embattled Glenn Roeder was, “will you resign?”. I regret that. My interview was syndicated to talkSPORT, who said I was insensitive. They were right. It should’ve been my third question. Walter Smith at Everton was a welcoming wealth of experience. It's no wonder he was a trusted go to guy for Fergie at Old Trafford. And I found Graeme Souness to be honest and engaging. Before Manchester United's game at Aston Villa, I entered the dragon's lair to do a live with Fergie. The challenge was to confirm for the first-time a backpage splash which the then United boss did not want to talk about at all! You see, I had to stand up the abrupt exit of Jaap Stam to Lazio, a News of the World belter from that morning. 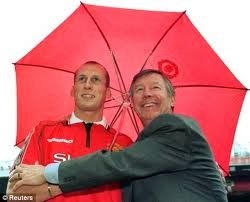 Stam's absence from the starting XI was because Fergie had shoved him out of Old Trafford. As I prepared for the lights, Paddy Harverson, United’s Alastair Campbell spin-type warned me not to ask him why Stam had been ejected so suddenly. It was because the Dutchman had offended him in his autobiography. Stam accused Fergie of trying to sign him without the knowledge of his club, PSV Eindhoven. The channel which became Setanta, ESPN and now BT. My friend Gary Newbon, the legendary Central and ITV reporter stood by and gave me a friendly, "don't be a hero, go easy with the questions, live to fight another day". But I had to ask, how could I avoid it? So after a short negotiation with Harverson, who was much taller than me and used his height advantage menacingly, I did. Fergie played the game and answered clearly. He recognized me and was totally disarmed. It was to be the last time our professional paths would cross but I got the impression that if you were trusted, he'd give you access and friendship not open to the wider world. My few days with Fergie at the height of his career helped me enjoy the rest of his it from my seat in the stands. Football in the steamy, adrenalin-fuelled matchday cauldron was an eye-opener. I got sprayed with water by Rio Ferdinand while interviewing Robbie Keane live and got asked to "keep my distance" by Gerard Houllier at Newcastle. I wasn't sure what the Frenchman meant. Did he mean physically or literally? So in the ten seconds before the lights went on, I decided he meant both! I stood four steps back and arched my outstretched microphone arm under his mouth in the emergency room. The Liverpool boss was constantly mopping his brow, sweating profusely. Little did we know it was because his heart was giving in. Six days later, he was fighting for his life. After Leeds went top of the league with a home win over Derby, I found myself staring into Lee Bowyer's steely-blue eyes, wondering what kind of untamed animal lay behind them. Shortly after 9/11, I had the privilege of sitting in the best seat at Goodison in-between the subs benches for the Merseyside Derby. To my right, Robbie Fowler; to my left Gazza. A highly-charged stadium was reminded through the PA system that football was after all, NOT more important than life or death - and both sets of fans observed an impeccable minute silence to the dead of New York. And then the football started. Phil Thompson jumped about the touchline at each challenge (calm down, calm down!) and Everton's Steve Simonsen fisted the perspex between us, strongly disagreeing with a smallish comment I'd made about a heated challenge by one of his teammates. The gentrified opinions of ex-players on TV are born of vague memory, not current experience. As a refresher, they should go down to the tunnel during half and full-time more often. Football is different behind closed doors. Very different. After a dramatic FA Cup weekend, it's time for an emotional reset! That's the view of Phil Williams, who's supported Aston Villa since his childhood growing up in Birmingham. The BBC Radio 5Live presenter, on-air weekday evenings from 10.30, says the league game at Sunderland is more important than the FA Cup, because staying in the top-flight is key to the club's future. And fans need to park the heightened euphoria of double victory over the Baggies - and concentrate on the dogfight. Here's Phil in conversation with me recorded before the FA Cup win. For those of us who remember Chelsea as a yo-yo club and Manchester City as whipping boys with a penchant for the drop, these are strange days indeed. Money buys success but little else. There's much wrong with the modern game. Still, for all the ugliness of £300k a week loanees and corrupt governing bodies, football does spread the tabernacle of peace among all the dwellers on earth. It literally crowds the senses across digital media taking attentions away from war and pestilence everywhere its syndicated. The word Messi must cross more cultural and language boundaries than any other. Football's size in commercial terms, it's power for our attention and disproportional importance make it more "real" than it used to be. The proof lies in any news report you see at 10 o'clock. Next to the reporter in the warzone or refugee camp will be five hungry children staring out at you, three wearing Barcelona and Manchester United shirts. Hollywood has nothing, nothing on the power of football. Is American soft power declining? Yeah, it started with Abramovich buying into London. But the more money in the game, the more fragile it becomes. How can it keep growing? Won't it stagnate and start to look stale if the money flatlines? The growth is unsustainable. There's a tendency to tinkering. Football's governing bodies will mess it up. Civilisation usually ends in self-destruction. It'll be trashed just to be rebuilt again. Can he phone a friend? Not sure. But such is it's growing cultural power, we're left with a huge deficit of quality leadership. Where are the world class politicians that could gear football to a higher level? 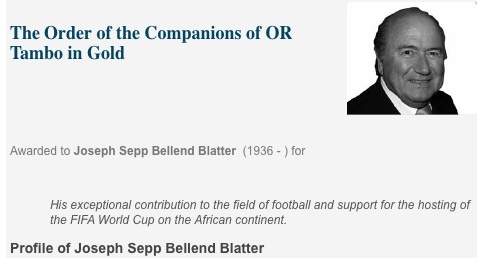 Blatter and Platini dither and piddle around its edges. What unites people more than anything else? It starts with World and ends with Cup. It starts with Champions and ends with League. Football's constituency is wider than religion. How about a role for the Beautiful Game in the United Nations? Maybe Bill Shankly will be proved right - one day. It's Howard and Jonny's Albion Sandwich! In between the two make-or-break fixtures with our nearest rivals, Howard and Jonny discuss the nervy last-gasp win over the Albion (nothing jittery about Benteke's composed penalty mind) - and why Gaby Agbonlahor might be the biggest winner in the Tim Sherwood era. There's predictions for Saturday's FA Cup quarter-final as Albion return - and a surprise reaction from Villa fans about which Albion game was more important, in the league or the cup?